Congratulations! Yesterday was the end of your first 21 day challenge. How did it go? I give these challenges to a lot of my clients and it really helps them get to their goal in a much more manageable way. It takes away that overwhelming feeling of “where do I begin, what should i do first?” and it can really help make the whole thing way less stressful. Make your Victory Vision as true to you as possible. Speak in the present as if it’s already here and be as descriptive as possible. No one else is looking at it but you, so don’t feel embarrassed about anything you write. Just be honest with yourself about what you want for your life a year from now. For the next 21 days read this Victory Vision aloud to yourself in the morning when you wake up and at night before you go to bed. As an incentive I’m offering up a little contest giveaway! 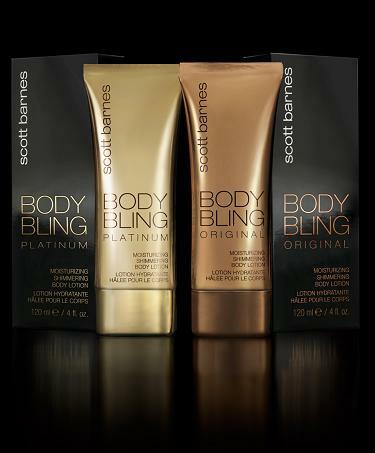 Post your vision in the “comments” box and I will choose one as the winner for a bottle of Scott Barnes’ Body Bling Shimmering Body Lotion. It’s what he uses to give celebrities their glow on the red carpet (think J. Lo!). So get cracking! One year from now I will be in the “maintenance phase” of my lifestyle change-weight loss journey. I will feel stronger, be more fit than I’ve ever been. I am working out 3-5 times a week. I am practicing yoga. I am confident, feel great in my clothes and my own skin. I might even be comfortable with more physical challenges at this point – that I have been afraid to try for years, hikes, kayaking, etc. Hey! Thanks for reading. It’s all about feeling good in your own skin, so great job! You have a great attitude which is so important for success. Let me know if you have any questions!